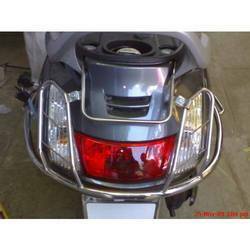 Providing you the best range of honda activa 4g accessories, activa rear guard, grip cover, activa 4g accessories, honda activa 125 footrest set and kick rubber for activa and access 125 with effective & timely delivery. 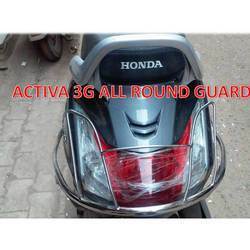 We are among one of the leading manufacturer, wholesaler, trader and supplier of superior quality Activa 3g Allround Guard. 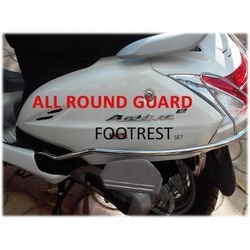 Ensures safety to your scooty, our experts designed this guard using superior quality material and modern techniques in adherence to the set standards of industry. This guard is tested by our quality controller on various parameters so as to dispatch a defect free range. 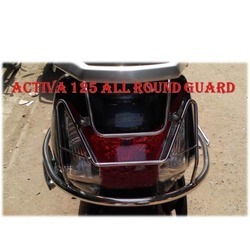 We are giving this guard on numerous specifications as per the demand of customers. 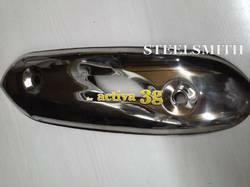 We are counted among one of the leading traders and suppliers of a wide assortment of 3G Activa Steel All Round Guard Rear Look. These all round guards are sourced from our reliable vendor base who use only optimum quality steel in the manufacturing process. 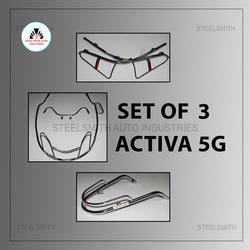 Further, these products are used to enhance the security and aesthetics of a vehicle. 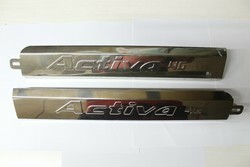 With our recognized reputation in the current market for qualitative production, we are devotedly engaged in offering Activa 125 Footrest Set. The given footrest is tested on numerous parameters of quality in order to deliver a defect free range. 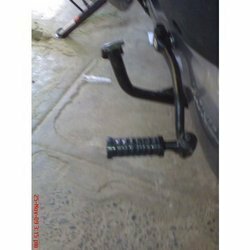 This footrest is high on demand in the industry due to its fine finish & easy fixing. 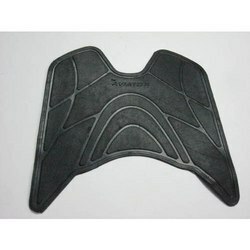 This footrest is manufactured as per the set industry norms using optimum quality of material & modern techniques. Our organization offers a wide range of Kick Rubber for Activa and Access 125, which is fabricated using the superior quality of rubber. 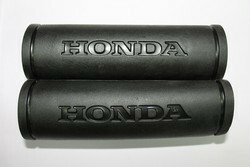 This product is highly appreciated by our clients for its durability. Further, we offer these products at very affordable prices. 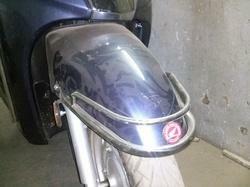 Stainless steel silencer chrome cover for honda activa 3g.